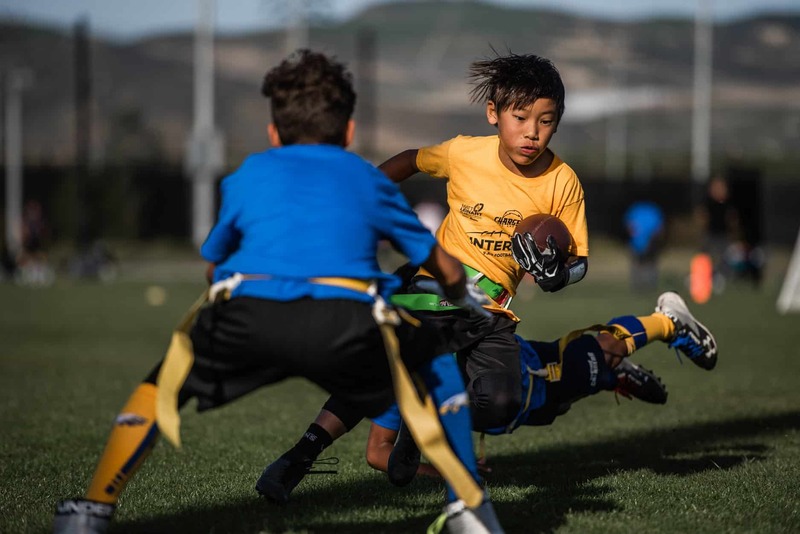 On Saturday, January 26, SoCal Elite Sports in partnership with the Matt Leinart Flag Football League hosted the 5th annual Winter Bowl Flag Football Tournament to benefit Irvine Public Schools Foundation (IPSF) at the Great Park. This year, over 900 players from individual schools in the city of Irvine, including boys’ and girls’ teams in grades three through eight, came together to represent their school and compete for the coveted Winter Bowl champion title. The Winter Bowl is the second event in the annual Tournament of Champions, consisting of soccer, basketball, and flag football tournaments. Schools earn points for their performance in each tournament, and the school with the most points at the end of the year is awarded the Champions Cup to display at their school the following year.